HALLOWELL, ME – U.S. 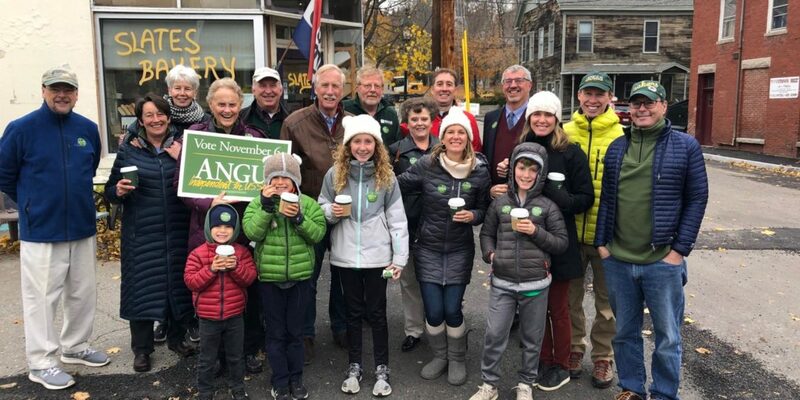 Senator Angus King (I-Maine) today joined Hallowell Mayor Mark Walker, local leaders, and community members to tour the newly rebuilt Water Street. After six months of construction, two-way traffic reopened on Water Street last month, attracting people from far and wide to local businesses. King’s stop in Hallowell is a part of his outreach around the state to connect with the people of Maine in the final days before the election. A former small business owner, Senator King knows firsthand how Maine small businesses can stimulate the economy and provide good jobs for people across the state. As governor, he focused on job creation, innovation, and infrastructure improvements. Now in the Senate, Senator King has continued his work to support Maine small businesses. He has been a leader in the Senate on broadband expansion and has been a champion for small business owners in rural Maine. Senator King has helped advance legislation to make changes to the Small Business Administration’s (SBA) HUBZone program to ensure military bases can attract robust redevelopment efforts upon closing. He has worked to revitalize the rural economy and led the creation of a public-private partnership, the Economic Development Assessment Team, to help grow and diversify the forest products industry. Senator King also recognized that women-owned businesses were facing barriers to federal contracting opportunities, and successfully pushed the SBA to support additional contracting to these businesses. With his strong record helping Maine small businesses, Senator King will continue to foster economic growth in Maine during his next term in Washington. Photo: U.S. Senator Angus King (I-Maine) meets with local community members in Hallowell.